The Deepwater Horizon oil spill had a negative effect on the coastal habitats of the Gulf of Mexico. Beaches, marshes, oyster reefs, and other habitats were exposed to oil, affecting the plants and wildlife living in those areas. NOAA announced in December of 2016, the availability of up to $7 million for grant funding provided for under the RESTORE Act to implement a Gulf Corps program. The funding was to be used to develop a Gulf wide conservation corps that would contribute to meaningful Gulf of Mexico ecosystem restoration benefiting coastal habitat and water quality in each of the Gulf states (Texas, Louisiana, Mississippi, Alabama and Florida). The Corp was expected to also economically benefit coastal communities through education, training, and employment opportunities. The three year program was to have representation in each of the Gulf coast states. Approximately $1 million of restoration work was expected to be accomplished in each state. 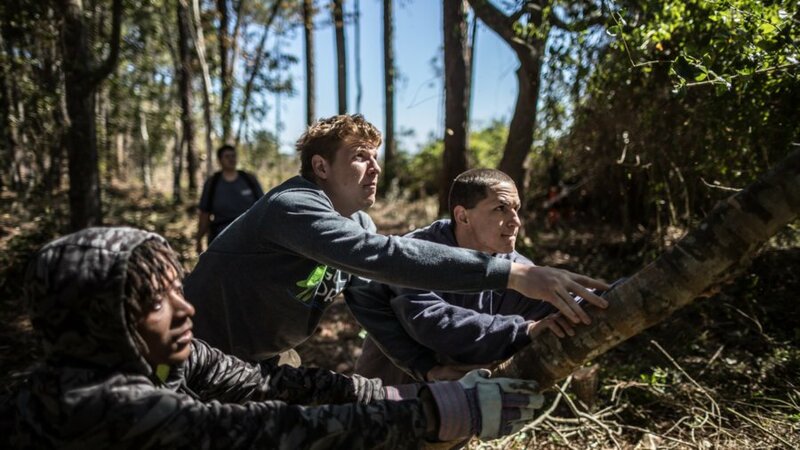 NOAA and its partner, The Nature Conservancy, and local conservation corps organizations have now completed the first year of GulfCorps and its first year of restoration work across all five Gulf states. These partners were able to engage, train, anddeply a crew in each of the five Gulf states. Each crew consisted of ten or more participants, worked on 15 project sites and restored up to 300 acres of habitat. In addition to training, the GulfCorps actively work on projects benefiting coastal habitat like wetlands, coastal forests, bogs, savannahs, oyster reefs, rivers and streams. Their restoration projects may include invasive species eradication, shoreline stabilization, wetland or stream buffer revegetation, oyster reef restoration, hydrologic restoration through light earthwork, conservation or land management activities, debris removal, habitat or water quality assessment, and ecological monitoring. The projects are selected collaboratively by NOAA, the state partners and The Nature Conservancy. It is expected that some of the graduates of this program will continue their education or vocational training in habitat restoration. Others will return to GulfCorps crews as team leaders guiding new crew members for the second round. The Program is expanding in its second year, both in number of participants and locations around the Gulf of Mexico. The Crews will begin work again in the fall of 2018.